Your child or grandchild will be attending college down the pike. The looming cost has you in a near panic. You’ve heard about former students who are still being held prisoner by horrendous amounts of student debt … $100,000 or more … and they’re now so old they’re collecting Social Security. According to the College Board, the average cost of tuition and fees for the 2017–2018 school year ranged from $9,970 for state residents at public colleges … to $25,620 for out-of-state residents attending public universities … to $34,740 for students at private colleges. And that’s just for one year! Multiply that by four to see what your child could be stuck with. That would be disastrous. You certainly don’t want that albatross hanging around the neck of your child or grandchild. And they all have problems! Get instant access to the FREE 18-page Special Report, The Ultimate Wealth-Building and Retirement Strategy, plus timely briefings and solutions to critical news and events that may impact your money and finances. Do you get to control how the money is used? Not with UGMAs, UTMAs, and student loans. 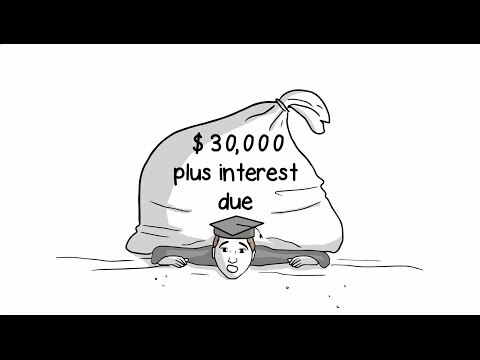 Can you avoid having the money you’ve put away count against you when your student applies for financial aid? Not with 529 Plans, UGMAs and UTMAs. Can you use the money for non-educational purposes? Nope. Not with any of those. Use it for approved educational purposes only or pay a huge penalty. Can you use the money beyond college? Again, no. Will your money grow to the amount you need, if you stop funding your plan if you die prematurely? Heck no. Of course not. And the biggest problem of all: Is the growth of your money guaranteed? Hardly. Your money may grow, or it may shrink. You don’t have any guarantees, do you? Is there an alternative college saving strategy that ticks all the boxes? Grow your money safely and predictably – and not allow it to be swept away in the next market tsunami? Let you control how the money is used? NOT count against you when your student applies for financial aid? Let you use the money for non-educational purposes? Let you use the money beyond college? Self-complete, if you pass away? The answer to every one of those questions is yes. … And the strategy is Bank On Yourself. Your guarantees will be backed by the assets of some of America’s oldest, strongest, and most financially stable institutions – life insurance companies. For your child, this is guaranteed money for college (or whatever you choose to use it for). For you, it’s sleep insurance! Get a Free Bank On Yourself Special Report to Learn About the Various Ways to Save for College … and Retirement … and More! For more information, grab our Free Special Report, 5 Simple Steps to Bypass Wall Street, Beat the Banks at Their Own Game and Take Control of Your Financial Future. Then, to learn how a custom-tailored Bank On Yourself plan can help you reach your specific college funding and retirement savings goals (with no obligation), request your free Analysis. You’ll be referred to a Bank on Yourself Authorized Advisor – a life insurance agent with advanced training in this concept – who can answer all your questions and, when you’re ready, get things moving. … And congratulations on planning now for college down the road!